There is a lot of hype surrounding the soon to be launched Harrier SUV which will set a new benchmark in the Indian SUV market soon. After a lot of teasing Tata Motors has finally revealed the details of their upcoming SUV. There is no denying the fact that the Harrier SUV is coming with some class leading specs and performance figures which will definitely raise some eyebrows. Once launched the Tata Harrier will rival directly against the likes of the Mahindra XUV500 and the Jeep Compass. 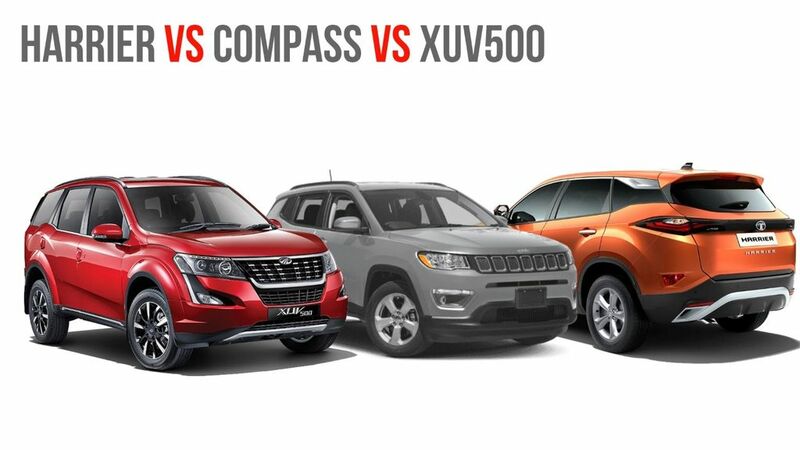 We have tried to compare the three SUV’s based on their styling, specs and pricing in this comparison review. 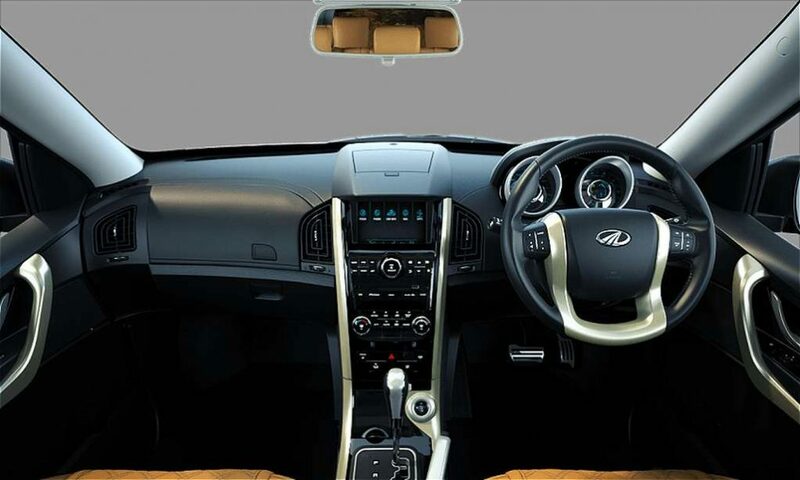 The new Harrier SUV has been built keeping Tata Motors new Impact 2.0 design language in mind. There is no denying the fact that the Harrier SUV looks phenomenal from every angle. The dominating front face gets an HID projector headlamp for low beam and halogen units for high beam. While the LED DRL lamps and side turn indicators can be found on top. Walk towards the side profile and you will realize how big the Harrier actually is. It is based on the Landrover Discovery sport platform and is actually bigger than the Honda CR-V in dimension. Towards the rear profile, you will notice the slingshot line which again is a part of Tata’s Impact 2.0 design language. Towards the rear bumper, you will find a Black cladding and a faux skid plate which will somehow remind you of the more premium Land Rover SUV’s. The taillamp towards the rear looks sharp and definitely adds a premium feel to the SUV. The Jeep Compass which also happens to be the most expensive SUV amongst the trio gets a dominating stance as well. However, compared to the Harrier it looks less aggressive and gets fewer creases on its exterior. 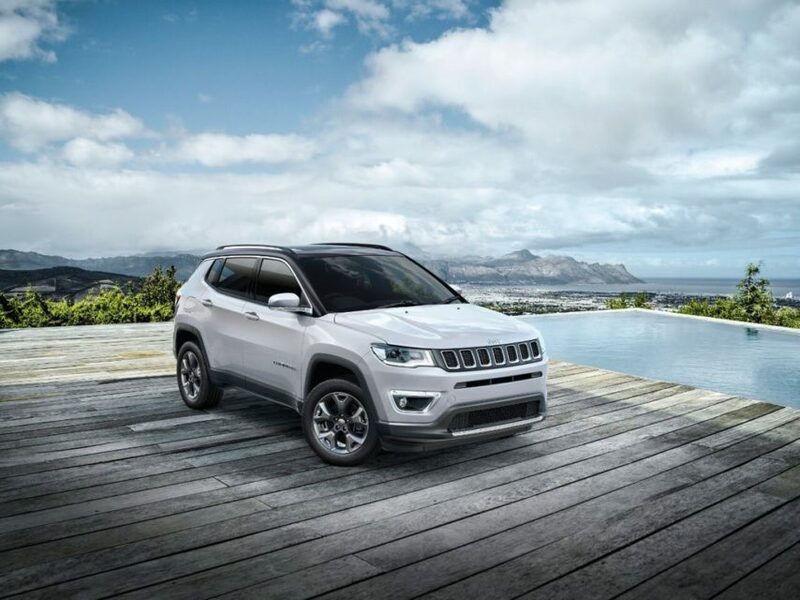 The Jeep Compass takes its styling inspiration from the Grand Cherokee and the headlamps with integrated LED DRL lamps, signature seven-slot grille, and some chrome accents give the Compass a premium styling. The Mahindra XUV500, on the other hand, looks huge and takes its styling inspiration from a pouncing Cheetah. It features a raised bonnet, bold front grilles with chrome accents, LED DRL’s, fog lamps which adds to the styling of the XUV500. The rest of the SUV gets a Classy tailgate, split taillamps and lastly, a diamond cut alloy wheels. 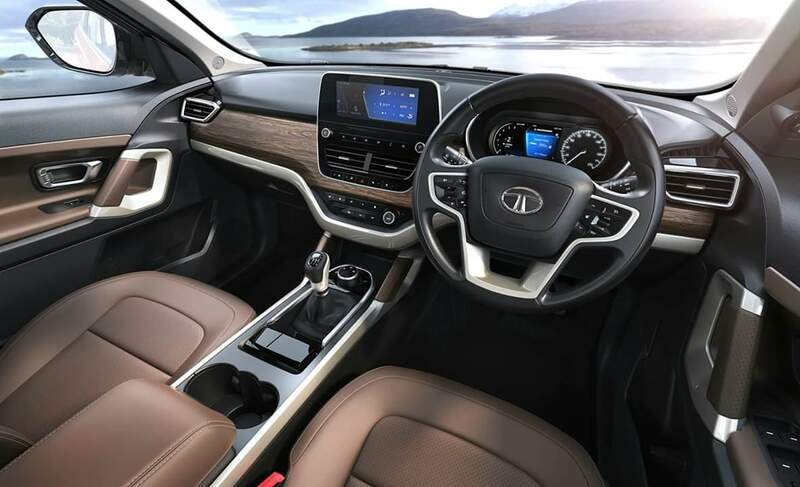 The interior of the new Tata Harrier looks quite interesting, there is a new 8.8-inch HD touchscreen infotainment system, a JBL audio system with 9 speakers and a 7 inch TFT instrument cluster which feeds plenty of information to the driver alongside an analog speedometer. The dashboard gets a premium oak wood inserts. The seats, in particular, has been finished in oak brown perforated leather while the door pads to have been finished in the same color. The Jeep Compass also has a dual tone black and sky grey interiors. There is also a 21.3 cm touchscreen infotainment system. While it now also offers a dual-pane panoramic sunroof as well. The driver seat is 8-way power adjustable, while it also gets an auto-dimming interior rearview mirror as well. The Compass gets a 6 speaker sound system. The overall materials fit and finish looks and feel quite premium. The XUV500 interiors too look up to the mark and the credit goes to its dual-tone interiors finished in black and tan color. The dashboard gets a soft touch to it. The XUV500 gets a 6-way power adjustable driver seat while some other features include fully automatic climate control, a 7-inch touchscreen infotainment system and an electric sunroof etc. 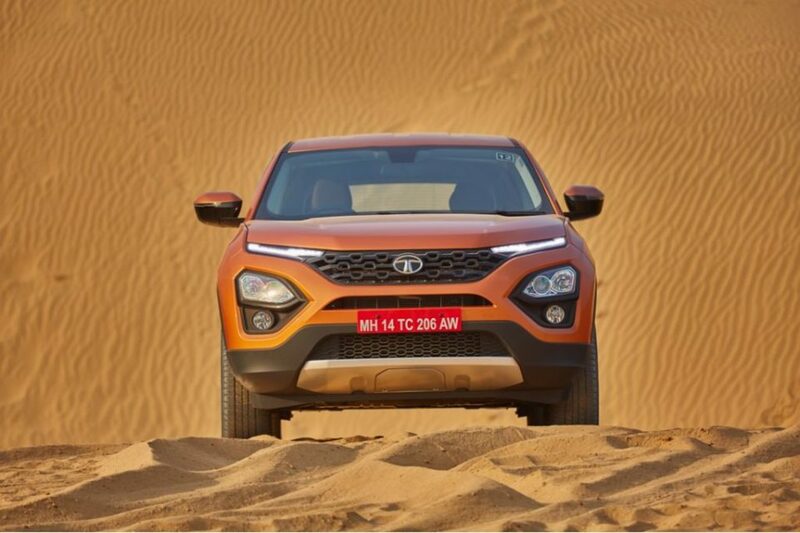 Tata Harrier is powered by a 2.0L turbocharged diesel engine which produces about 140 Ps of peak power at 3750 rpm and 350 Nm of torque in between 1750-2500 rpm. The engine is paired to a 6-speed manual transmission. The Jeep Compass, on the other hand, uses the same engine which also powers the Harrier SUV. However, the 2.0 Liter diesel unit is tuned to deliver 173 Ps of peak power and 350 Nm of torque. The engine is paired to a 6-speed manual transmission. 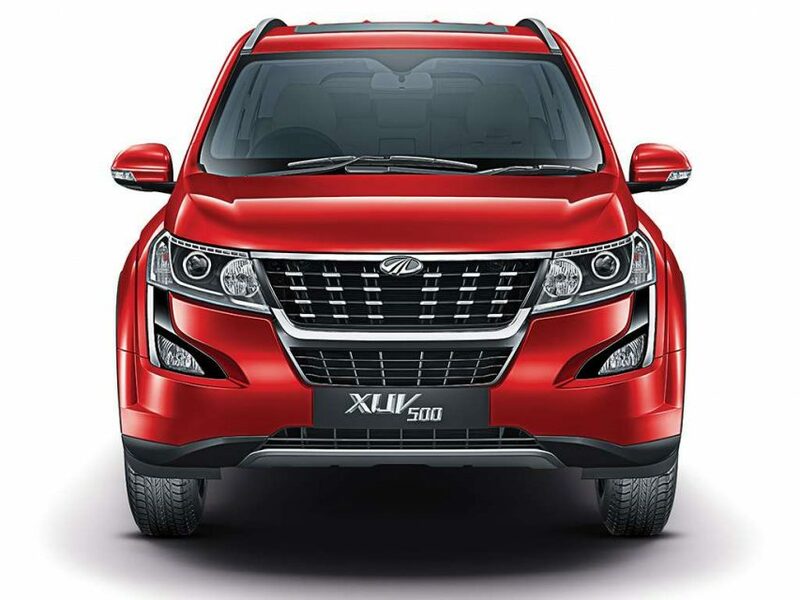 The Mahindra XUV500 diesel variant is powered by a 2179 cc mHawk155 unit which produces about 155 HP of peak power at 3750 rpm and 360 Nm of peak torque at 1750-2800 rpm. This is the only SUV amongst the trio which also offers a 6-speed automatic transmission besides a 6-speed manual gearbox. 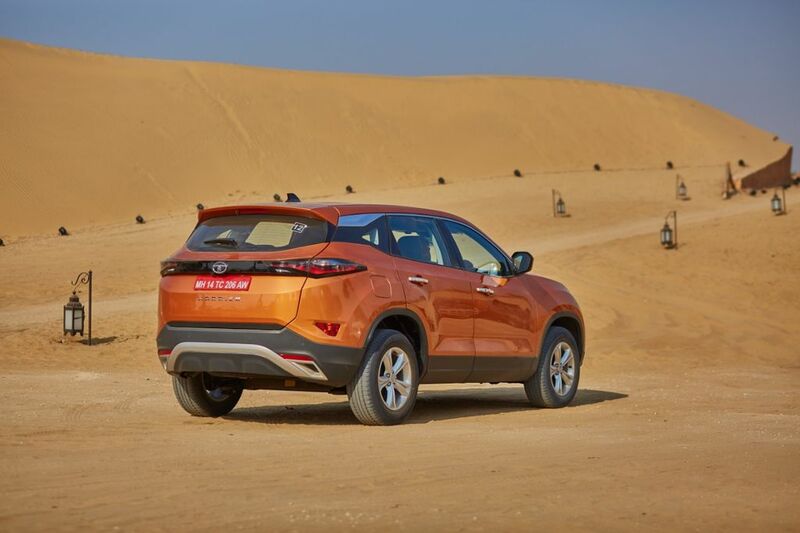 Tata Motors have not revealed the pricing of the Harrier SUV yet but you can expect the SUV to be priced in between Rs.14-19 Lakhs ex-showroom. The Jeep Compass Diesel manual is priced in between Rs 16.64 lakh and Rs 22.94 lakh. Lastly, the Mahindra XUV500 is priced in between Rs. 12.62 lakh to Rs 18.12 lakh (ex-showroom). There is no doubt that the soon to be launched Harrier SUV is surely a worthy competitor to the Jeep Compass and the Mahindra XUV500. It underpins a very capable of Land Rover’s D8 architecture platform and we have seen it going through many offroading tests before its launch. As far as the styling is concerned surely Tata Motors have worked their magic this time as well and it shows. While the interiors look quite appealing and upmarket as well thanks to the new touchscreen infotainment system and well-planned centre console which offers plenty of space to keep small stuff and comfortable seats. The top end variant too gets plenty of safety features including a total of 6 airbags, ABS, ESP, hill hold control, electronic traction control etc which place it on par with its rivals. Lastly, Tata Motors has also taken the engine from Fiat which is a tried and tested unit and is currently also used by Compass SUV. However, the only downside to the Harrier is that Tata Motors has not yet decided to introduce the 4X4 variant while it also does not offer a sunroof which is bit disappointing. But Tata Motors surely will launch more variants of the Harrier soon which will perhaps come loaded with all the said features.